Johns Family Courtyard – Now with WiFi! A common request we receive at GTS is to expand the WiFi coverage in the outdoor spaces on campus. 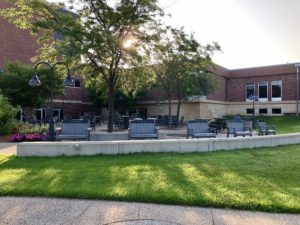 As part of an effort to improve the WiFi all around Gustavus, we have installed a new outdoor WiFi access point on the wall between the Courtyard Cafe and the Johns Family Courtyard. 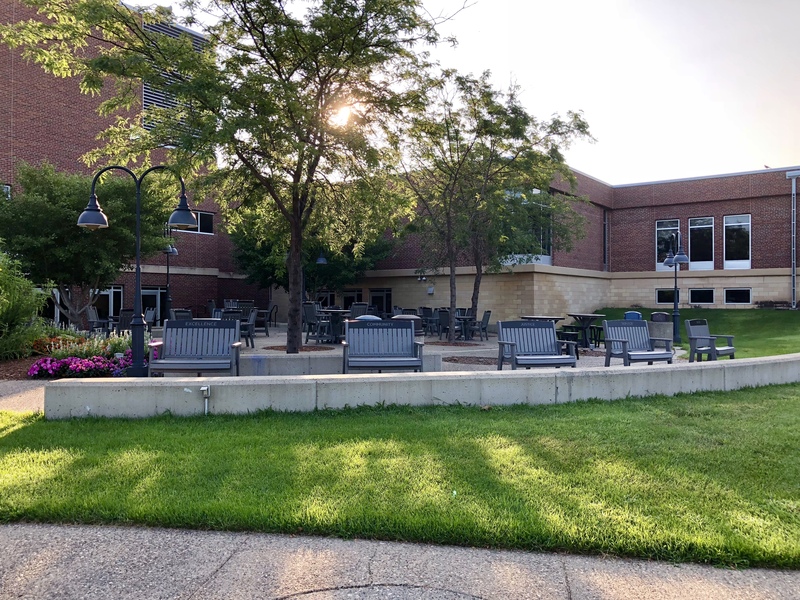 So this fall when the weather is nice you can enjoy the new furniture in the Johns Family Courtyard and submit your assignments in Moodle at the same time.